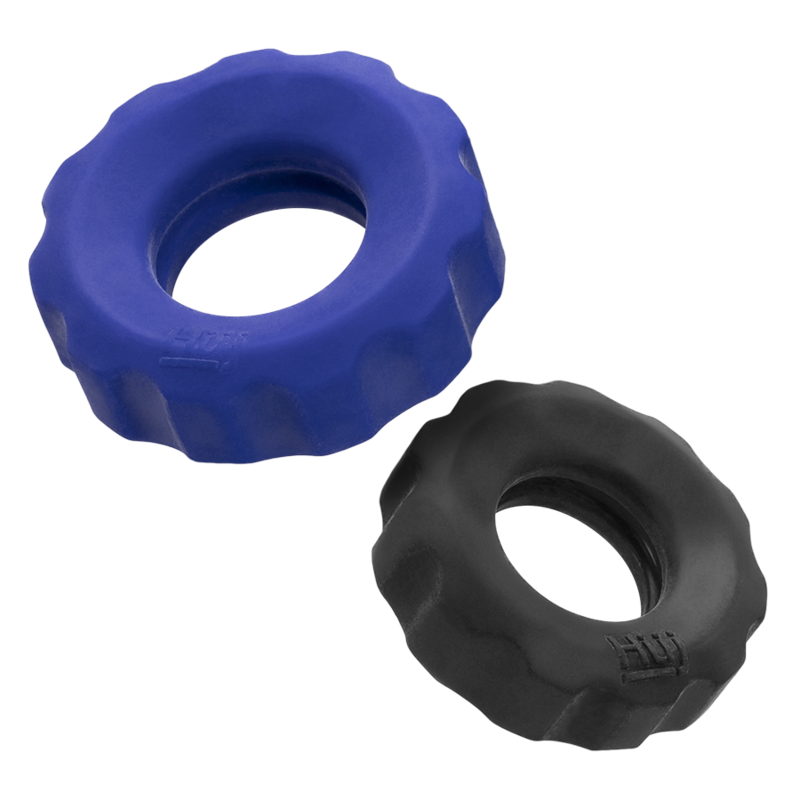 COG rubbery c-rings are 1 small + 1 large rings. 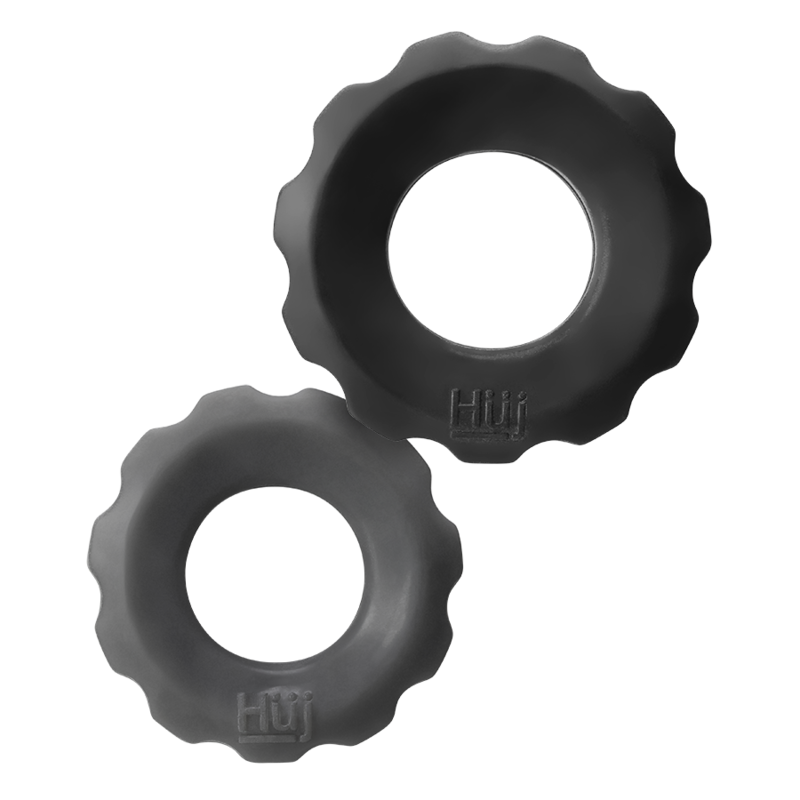 The big COG is designed for guys that like a heftier super-stretchy c-ring, the smaller COG for a tighter fit, or wear it on your ballsack…hünkyjunk likes to offer more options for all kinds of play. 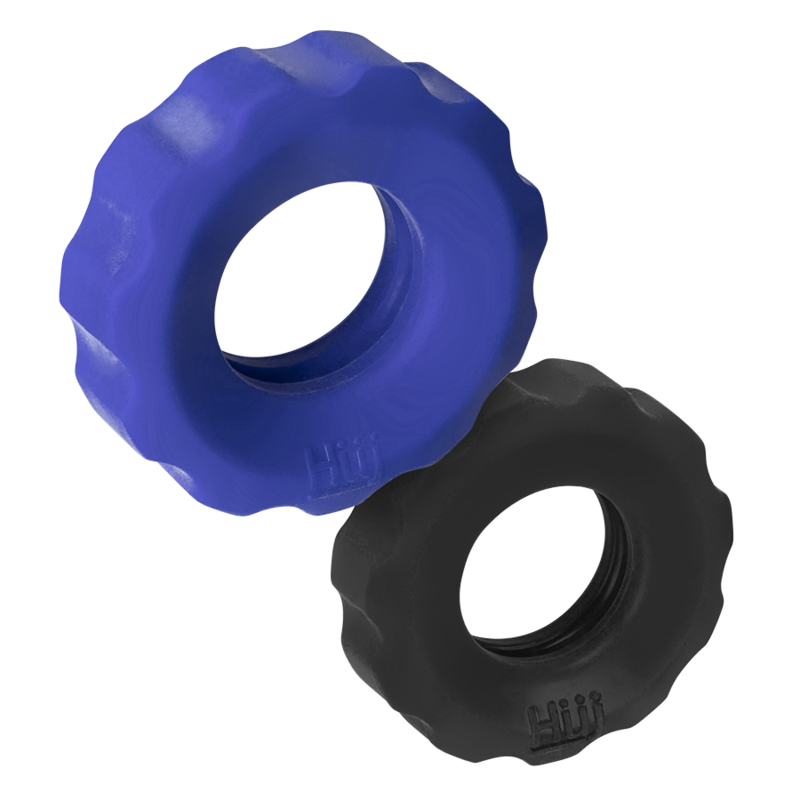 Each pack has 2 different color rings, both with knurled grip surface texture that looks cool and feels amazing…at hünkyjunk we love the details! 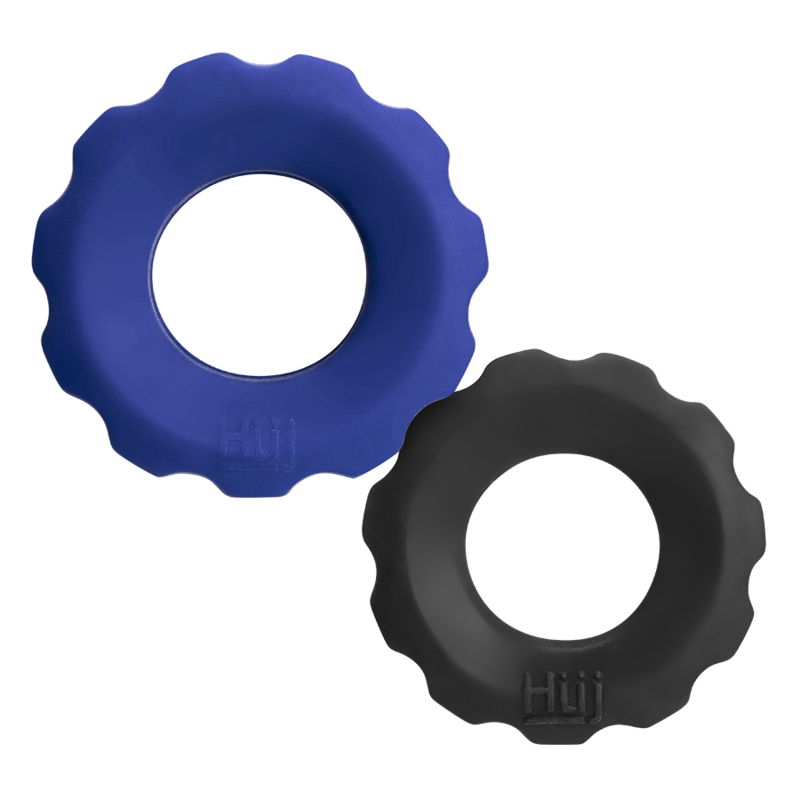 Hünkyjunk innovation for COG: a groove inside the ring that holds a bit of lube for comfortable wear and a inner ring that flattens as COG stretches so the toy stays where you want it…it will not roll or pinch. 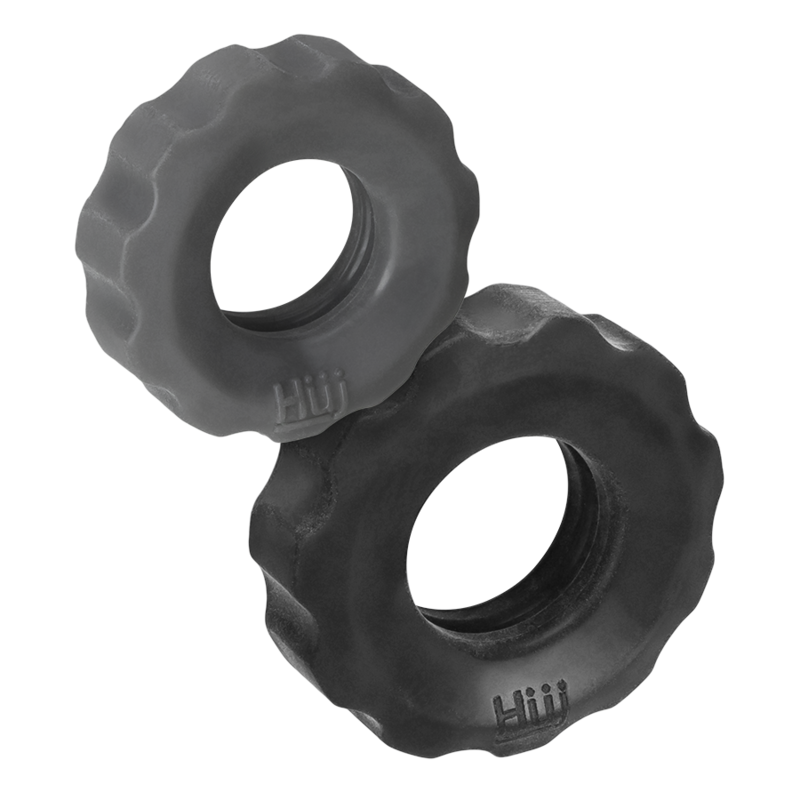 Our plus+silicone™ TPR/silicone blend feels smooth and warm…velvety like silicone + strong and stretchy like TPR. 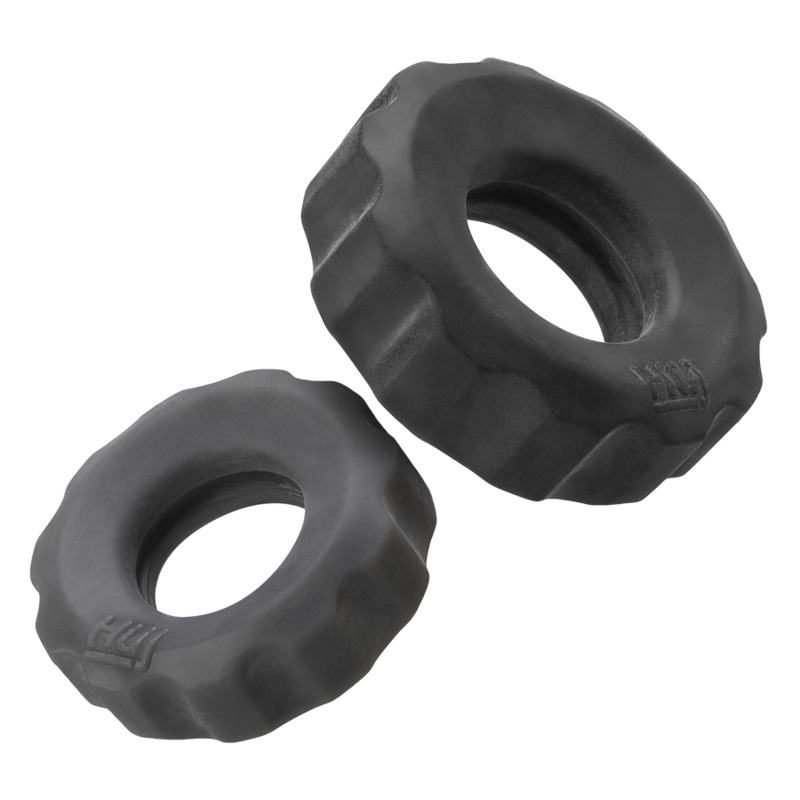 Our plus+silicone™ TPR/silicone blend: silicone for a smooth and warm feel, TPR for amazing stretch and strength. Phthalate free.